Headstone stone maker: T.New Gorey. 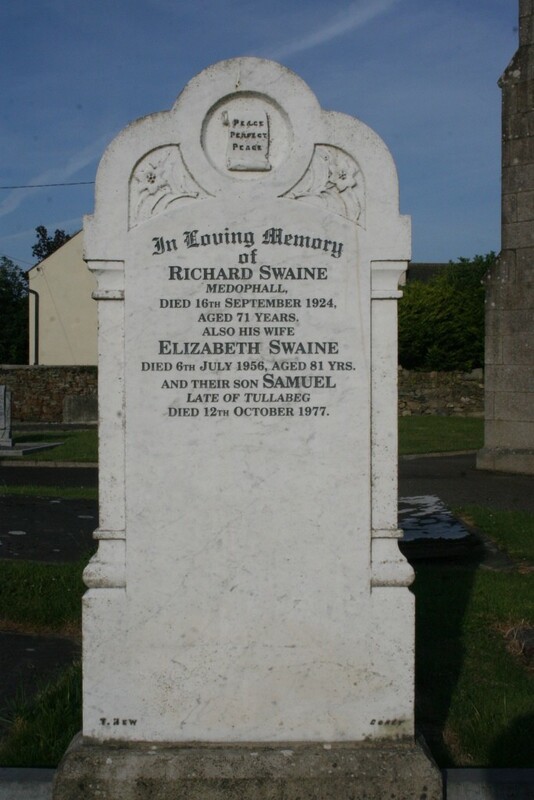 In loving memory of Richard Swaine Medophall died 16th September 1924 aged 71 years. 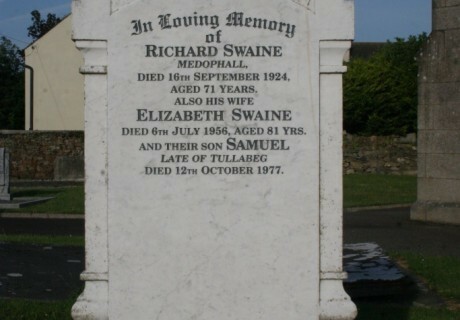 Also his wife Elizabeth Swaine died 6th July 1956 aged 81 yrs. And their son Samuel late of Tullabeg died 12th October 1977.